Does anyone have any advice for Barcelona in terms of places to live that are dog friendly? 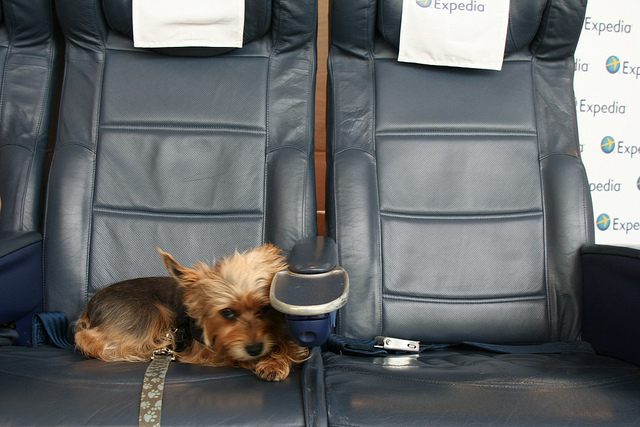 Does anyone even travel with pets? Or even in a campervan? I plan to do lots of Europe first and foremost spending 1-2 months at a time in different cities/countries/places. I’d like to ask you some questions before I have a go answering yours! How long have you been working in IT sales before they trusted you to do the job unsupervised? How much previous sales experience did you have before then? I’m about to take a really badly paid job to get a van because i’m done with renting, this decision has been 5 years in the making! I’ve met people from all over Europe (mostly the wealthy North and West) and they love their vans. I like to joke about the “peaceful retirement village” with the over 60s all parked up on some Spanish scrub land by the sea with water and electric hookup. I follow hak5 on youtube, Darren did hack across America in a Sprinter 2 years back. There are more videos in this series but this is the first one I found. I’ve worked in the industry for around 18 years. The company I am with, I’ve been with for 7 years. I proved to them I could do it working from home 5 years ago and was no.1 Sales person in the company, even now on average I bring them around 25-30k profit each month in through my client base so am very lucky and still in the top 2 salespeople in the company. I think they understand that if I’m happy, I perform and they know me well enough to know that the last thing I want to be in is some kind of corporate rat race so it works both ways. I ran my own company before I worked for them and it nearly killed me, I lost it in the recession and took my staff to go and work with the company I’m at now on the proviso that I don’t want anymore managerial/directorial responsibility and that I just want to get on with my life, enjoying it to the full. I’ve been through a tough time in the last 5 years also, losing both my parents across that time which has been hard to say the least. I’m okay now though and ready to go. If I was to be honest, I do find the job a little tedious sometimes and have the urge to travel and basically live so I’m trying to combine the best of both worlds and still do my job whilst on the road, using technology I implement into the van and also coworking spaces throughout Europe. Glad I came across this site and nomadlist as well, so helpful to help me achieve my dream. Thanks, that is good info, i’m sorry to hear about your loss. There is a huge amount of distrust amongst employers allowing their staff to work from home (/anywhere) because it goes against the “stick” method of managing people and denies our self directed nature. Here’s a video on that illusive work/life balance that still has most people trapped. Here’s a dude who made a new life for himself on the road, there must be thousands who are realising they can have a meaningful life away from the rat race and still live comfortably and enjoy the finer things. Many people who pivot to van living find they don’t need as much stuff as they thought! You may also like to look into the space saving ideas behind the “tiny house” movement. Here’s one that I just watched featuring Daniel Pink about sales; the take-home for me is shifting from problem solving to problem finding… I would argue that human nature is closer to wanting to give without expectation, however in the present “value proposition” system conditional exchange is normal, and that’s ok.
How would you recommend somebody get into IT sales with no previous experience (other than PC/laptop sales in a retail setting) and a strong aversion for anything rat race? Since you are in Spain at the moment, a good SIM card for internet roaming is O range M undo with GoE urope option (see details here: Prepaid Data Wiki Option Euro1. Seems to be 1EUR for each 100MB roaming in EU/EEA, as long as credit lasts. Speed wise HSPA+, which is not far off from 4G in my experience. I travel with my dog and honestly Spain is the least pet-friendly country I’ve been to in Europe. The rest of mainland Europe is super pet-friendly. You’ll see dogs on trains, buses, restaurants, shops, cafes, bars…you name it. Rules vary from country to country, but generally dogs are welcomed with open arms. Spain, on the other hand, has a lot of no-dogs-allowed signs and a lot more rules. It’s still better than the US, but definitely not as great as Germany, Switzerland, France, Belgium, or Italy (etc.). Paris really, really loves its dogs. And Catalunia, while a little less dog-friendly, is also reasonably easy to travel with your pooch in tow. Most of Barcelona is pretty friendly, also you’ve tons of parks all around. I’m sure you will both enjoy [Park de la Ciudatella] (https://en.wikipedia.org/wiki/Parc_de_la_Ciutadella). Yet, I wouldn’t spend much time in the city center districts, as they are too crowded and can stress your dog. Although I’ve seen very happy dogs in Plaça Catalunya chasing pigeons all around.